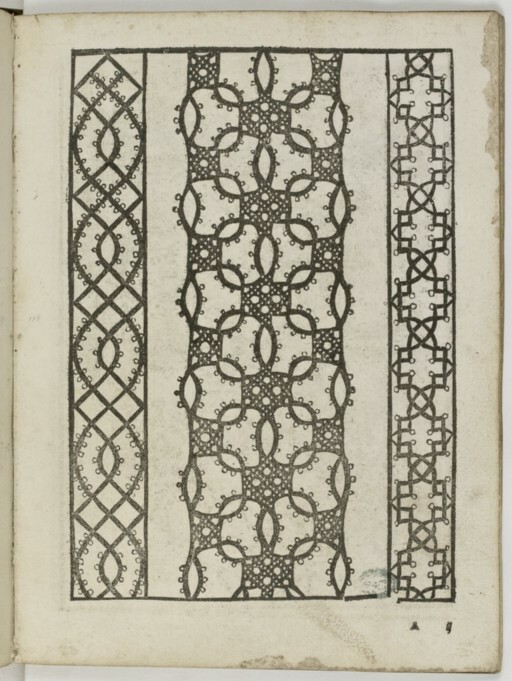 Then I discovered Le Pompe's lace design book first published in 1559, and the trim is the same design as in his book. Le Pompe's books are well known within the lace making community and International Organization of Lace even use his designs in their beginner lace tutorials. I now think it's very likely that the beautiful trim on Marguerite's gown is lace, which means so many designs we see in portraits could be lace! The design on Mary Stuart's gown is almost identical accept for some minor differences - straight lines instead of curved and the filled in centres. 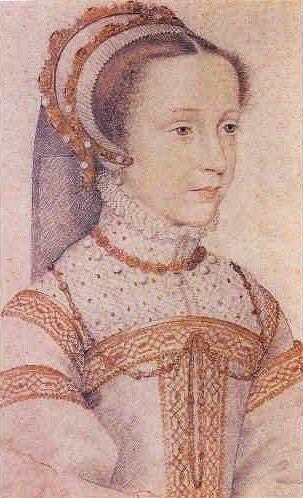 As Mary was born in 1542 and this portrait is of her at age 13 then it would date to 1555, however Le Pompe was published in 1559. Was Mary's trim inspired by Le Pompe or the other way around? Did her trim design come from Le Pompe's book? 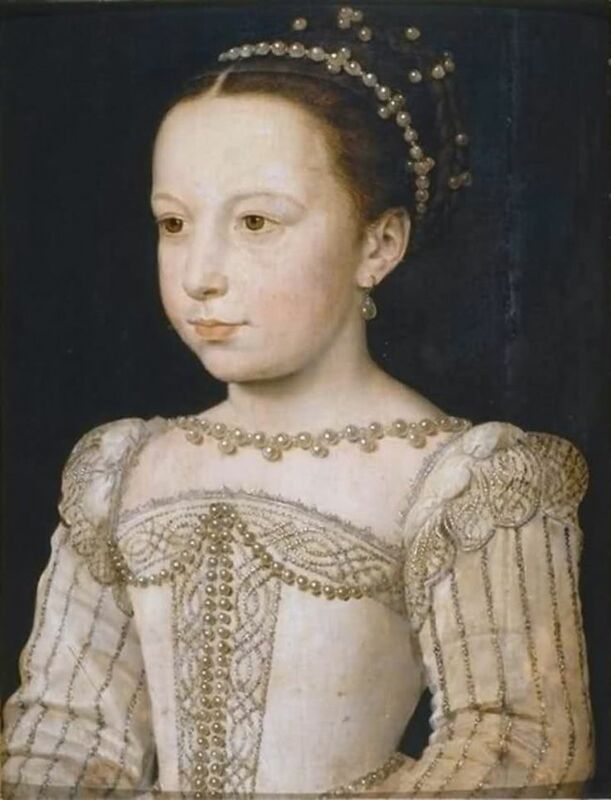 Did it take 4 years before the portrait of her at age 13 was completed and the trim painted late in the process? What was the reasoning behind the dating of this portrait? Or was this simply a common and popular design? 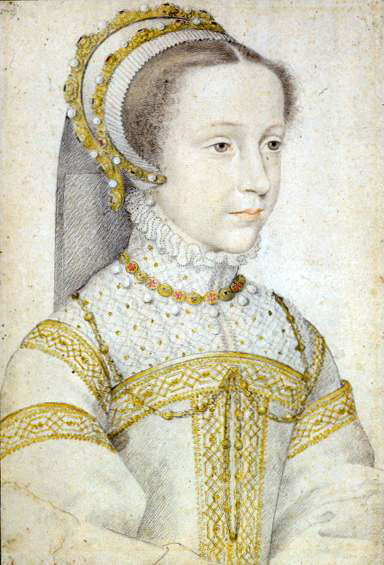 Perhaps François had Le Pompe's book and he used the designs in his portraits? How long did it take for Le Pompe to write his book and who were his collaborators? Marguerite's portrait on the other hand is dated as 4 years after the lace design book was published so could definitely be based off Le Pompe's design. What do you think? Here is my first attempt at my version of the Le Pompe design.